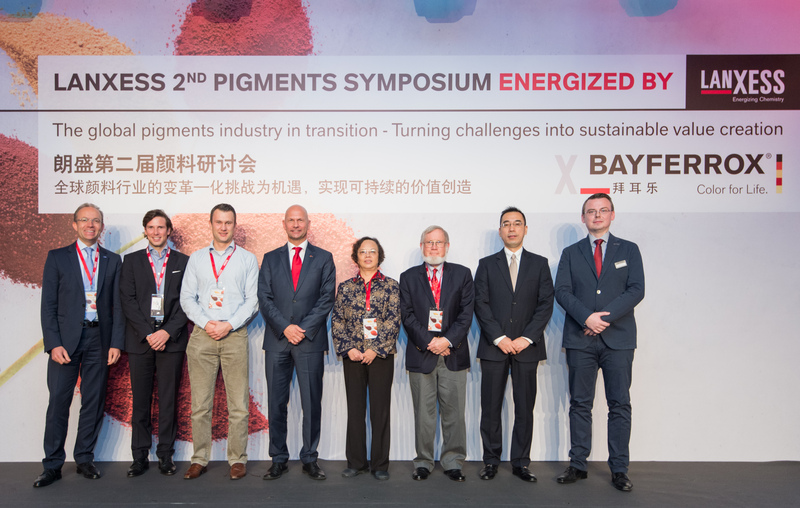 Issues such as the continued implementation of progressive environmental regulations in China, the simultaneous advancement of consolidation in the global pigments industry, and new challenges facing the paints and coatings industry, were the subject of animated discussion. 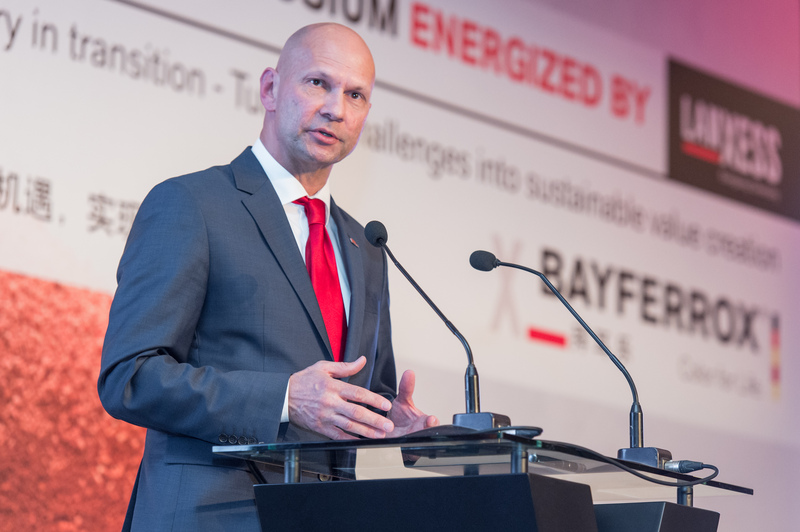 Over 150 international participants, including customers and sales partners, as well as representatives of government, professional associations and the media, responded to LANXESS’ invitation to join in this dialogue. China is both the largest sales market and the largest production center for inorganic iron oxide pigments worldwide. The country’s economy is in a restructuring phase, which is also greatly affecting the pigment industry. “Rising environmental regulations are forcing numerous Chinese manufacturers to close down their manufacturing plants. However, despite temporary, localized downturns, global demand for inorganic pigments is on the rise, due in part to expanding urbanization. 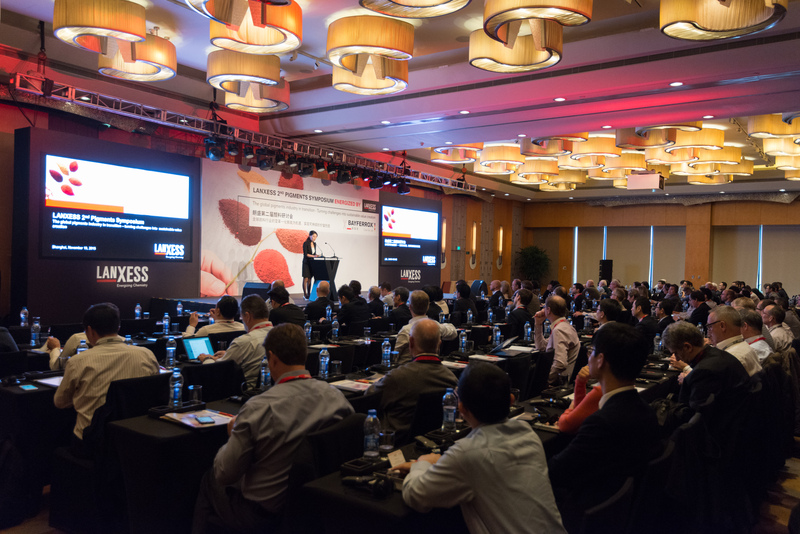 This development has far-reaching consequences for the global paints and coatings industry,” explained Rafael Suchan, head of LANXESS pigments business in the Asia/Pacific region, at the symposium. Government representatives further discussed the impacts of China’s new environmental legislation: Companies will be subject to drastic sanctions if they fail to comply with the new guidelines. In 2014 alone, the number of prosecuted environmental offenses tripled compared to the year before. Furthermore, the number of pigment manufacturers with an annual capacity of less than 10,000 metric tons will continue to decline as a result of the new legislation. The government’s goal is to promote further industrial consolidation. In the end, only a few iron oxide manufactures with sustainable production facilities and increased capacities will remain on the Chinese market. Jörg Hellwig, head of LANXESS’ Inorganic Pigments business unit, emphasized that technological advancements and optimized manufacturing processes are of critical importance to achieving this goal: “Developments in China leave no doubt that investments, technical expertise and new process solutions are an integral part of any business model geared to long-term success, and imperative for the advancement of our industry.” Hellwig explained how they can be implemented based on the example of the new Ningbo process, which was engineered by LANXESS specifically for the environmentally compatible production of red pigments in China and will be used at its new production site in Ningbo. In contrast to the conventional Penniman red process common today in China, this new technology dramatically reduces waste gas emissions and includes a very efficient treatment system for the process water, which uses biological denitrification, ultrafiltration and reverse osmosis so effectively that nearly all of the water can be returned to the process. Norbert Mahr, Director of Global Procurement Inorganics at BASF SE, explained at the LANXESS Pigments Symposium how sustainable procurement management can help to combine economic and ecological objectives: “Sustainability in procurement also means considering not just the economic factors, but also the important aspects of environmental protection, social responsibility and compliance with governmental regulations, and if necessary working with our suppliers on improvements.” BASF therefore has joined forces with other companies, including LANXESS, in the Together for Sustainability (TfS) initiative. The goal of this initiative is to develop a global program for the responsible procurement of goods and services and for improving ecological and social standards at suppliers. During the concluding podium discussion, Dennis Scholz, general manager of Harold Scholz & Co. GmbH, Clifford Schoff, Schoff Associates, Hao Li, general manager of HCA Consulting China, and Christian Wolfrum, project manager for Boston Consulting Group, discussed current market developments, challenges, innovations and megatrends in the coatings industry. Like the kickoff event in 2013, this year’s symposium had the character of a high-level scientific exchange, giving guests an opportunity to talk extensively with industry experts and colleagues specialized in various areas. 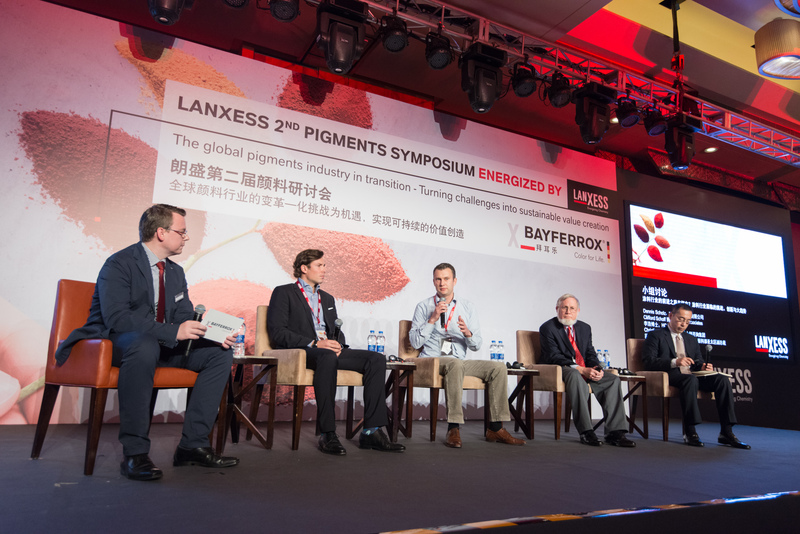 “The very positive response we received from participants and speakers encourages us to continue holding this event on a regular basis,” Hellwig said, and announced that the next LANXESS Pigments Symposium is scheduled to be held in North America in 2017.